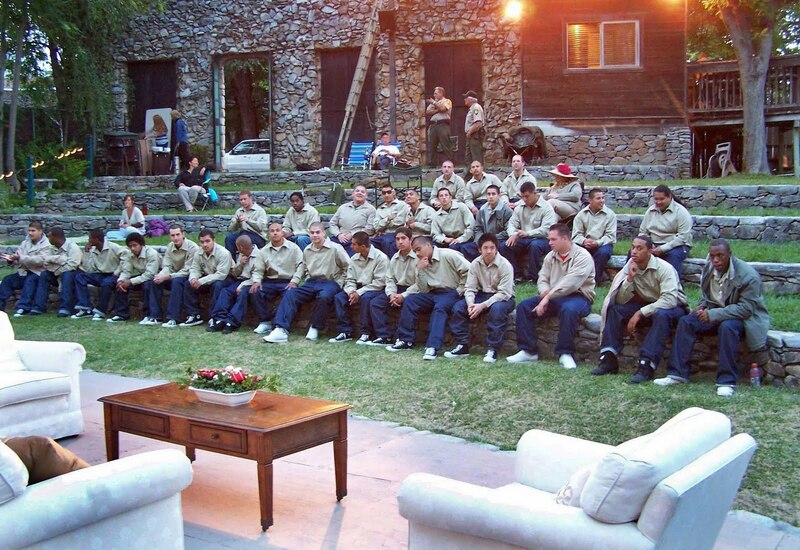 Pine Grove Youth Correctional Camp (PGYCC) firefighters were treated to the Neil Simon comedy, Plaza Suite, by the Volcano Theater Company. 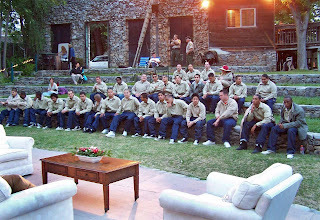 The play was performed in the amphitheater in Volcano, which is near the camp in Amador County. The Volcano Theatre Company relies on the camp to provide the dress rehearsal audience. Twenty-nine firefighters plus PGYCC staff attended the showing. The story of the play features dynamic personal interplay among couples suffering under life’s stresses, with a generous dose of humor. While presented as a comedy, there are several life lessons to absorb and contemplate. Kitchen Supervisor Cynthia Wilson treated everyone to coffee, hot chocolate, and freshly baked chocolate chip cookies at intermission. Several firefighters served the refreshments while local residents mingled and chatted. One youth, recently received from the N. A. Chaderjian Facility, walked around with his eyes and mouth wide open in awe. “I have to continually pinch myself to see if I’m dreaming or if this is really happening,” one youth in attendance said. He was assured it was no dream and that it only gets better. To commemorate the event, all attendees were given a photo inscribed with the event and date.